The elements constituting this global approach are part of a response to regulatory requirements and in particular, those of the ministerial decrees of December 14, 2013 relating to the prevention of the Legionella risk (France). 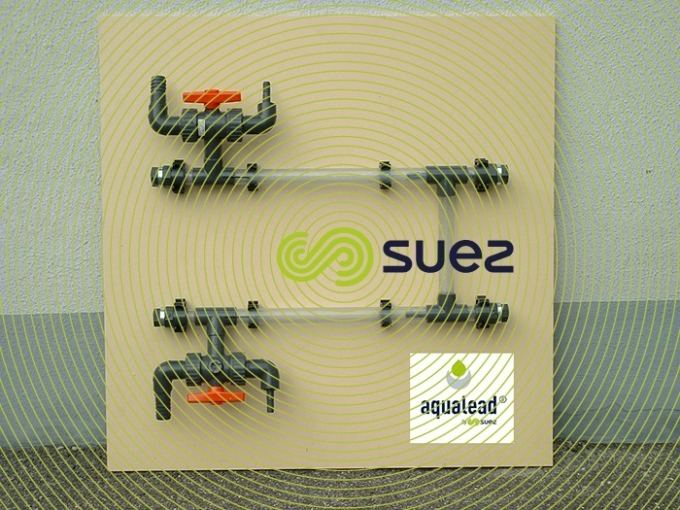 A global approach is necessary in order to establish and implement a specific programme, which can be adapted to environmental evolutions, so that the use of a given water in given conditions does not penalise the industrial production for which this water is used. This approach is based on a regular assessment of performances objectives and lines for progress are defined whilst integrating technological and regulatory evolutions. All of these points should be considered in the study to determine which monitoring has to be implemented. 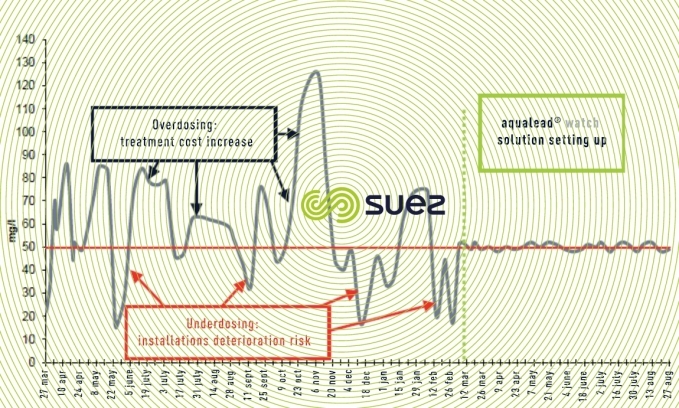 In the same way as prevention tools such as FMECA (Failure Modes, Effects and Criticality Analysis), HAZOP (Hazard and Operability studies), HACCP (Hazard Analysis Critical Control Point), this global approach is both adaptable and open to criticism, in order for choices to be called into question and evolve. shutdowns – cleaning / disinfection – start-ups. 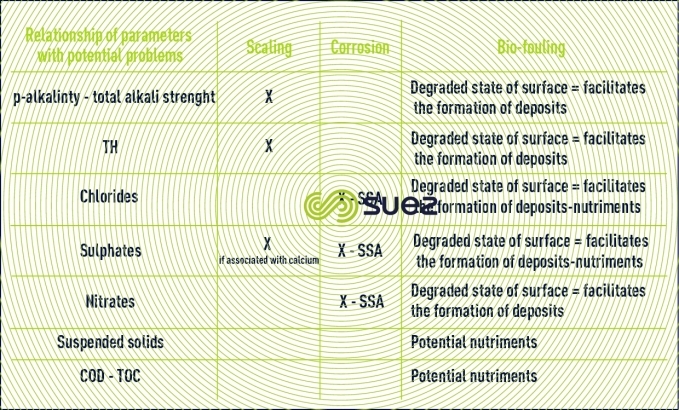 physicochemical report ( pH , conductivity – alkaline strength (p-alkalinity) and total alkali strength (m-alkalinity) - total hardness (TH), calcium hardness (THca)– Ammonium, Nitrates, Nitrites – Sulphates, Sulphites –- Iron, Copper, Zinc, - Chlorides – Suspended Solids - TOC -COD). 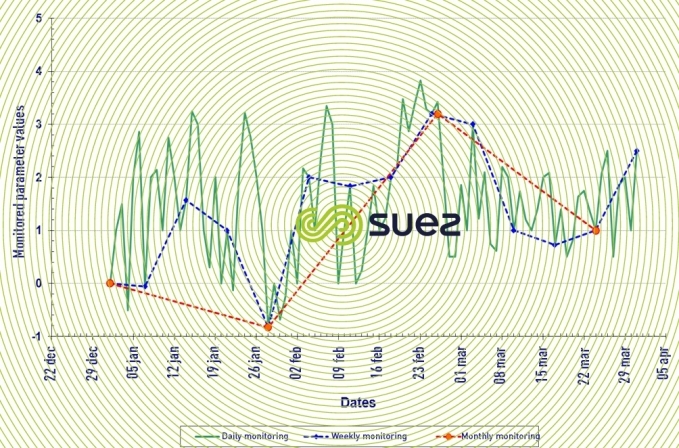 the impact of the frequency of monitoring which is expressed in the graph. It is important to adapt the frequency of monitoring to the variability of the parameter considered. If this is not the case, drifts, which may have more or less serious consequences, may not be detected. Monitoring is the control panel for preventive action and allows reporting within the context of regulatory obligations. checks on injection equipment and automation (remote monitoring). via a measuring probe, Corrater probe type. The first will be more accurate, but will give a value over a long period of time; individual events are not highlighted. 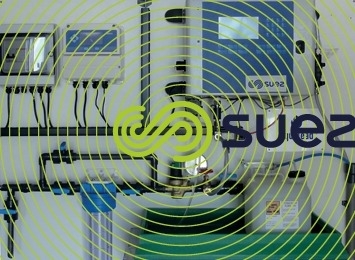 The second gives the real-time value allowing events to be assessed, or dosing or operating conditions to be fine-tuned (blowdown flow, concentration ratio). 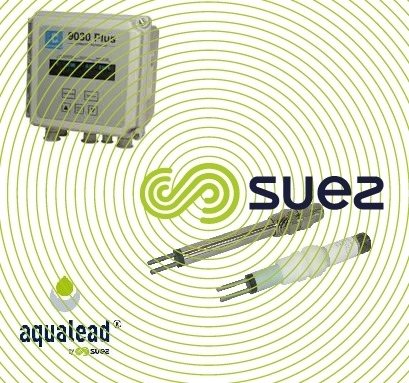 Electrochemical probes permit instantaneous corrosion rate measures to be obtained and transmitted to the aqualead® access data acquisition system. 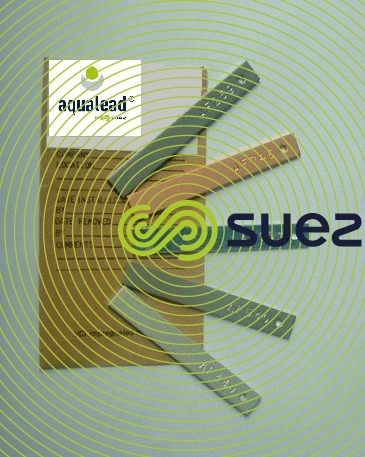 aqualead® access - 3 Photo 14. A methodical risk analysis of the proliferation and dispersion of Legionella in cooling towers where water is dispersed into an air flow is based on a HAZOP (Hazard and Operability studies), FMECA (Failure Modes, Effects and Criticality Analysis), HACCP (Hazard Analysis Critical Control Point) type methodology. It consists in identifying all of the risk factors present in the system, their environment and the means of limiting, controlling or eradicating these risks. dissemination of Legionella into the atmosphere. Well-trained personnel will be more operational, efficient and pro-active. Their contribution towards the prevention initiative will consequently be both more often and more effective. health, safety and the environment to optimise the prevention initiative and QHSE (Quality Health Security Environment). approach. As these training programmes do not result in a diploma or certificate being obtained, it is important to solicit a body possessing a registration number, proposing several specific training modules and capable of providing basic training enabling a good level of expertise to be acquired. It is also recommended to properly define needs to ensure that an individual adapted programme can be proposed. In addition to innovation-related aspects, a pilot unit can contribute towards conducting tests without any risks for the industrial facility. 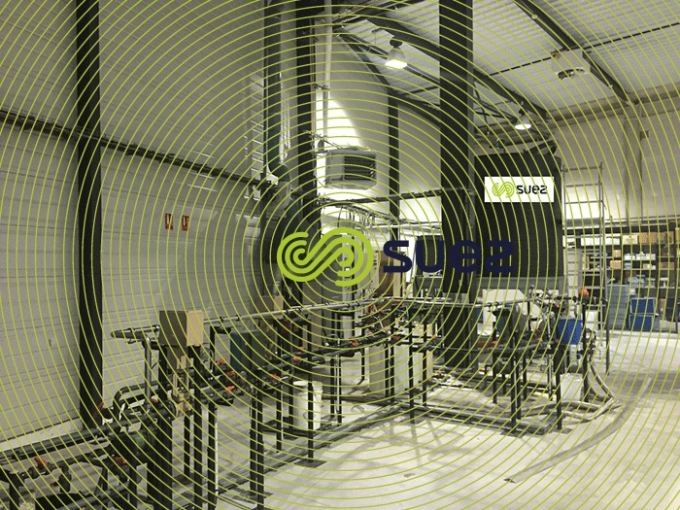 It will be possible to assess the performances of the various conditioning programmes, to determine the best choices of formulations in given operating conditions. find the best solution to a specific water conditioning problem. the most effective product to be chosen according to the problems encountered on the site and reproduced at the pilot unit. The design of the pilot unit can make it a “fixed” tool associated with a laboratory or a mobile unit which can be used on site. to check the effectiveness of products before embarking on an industrial trial. Conditioning, storage conditions, the implementation of formulations and their “handling”, all have an impact on Health, Safety and the Environment. It is for this reason that this topic must be studied beforehand in order to minimise the impacts and the costs and anticipate communication and information required. Furthermore, regulatory obligations exist and must be satisfied, in particular as regards preventing chemical risks which must be included in the user company’s global risk document. centralisation of the storage zone. 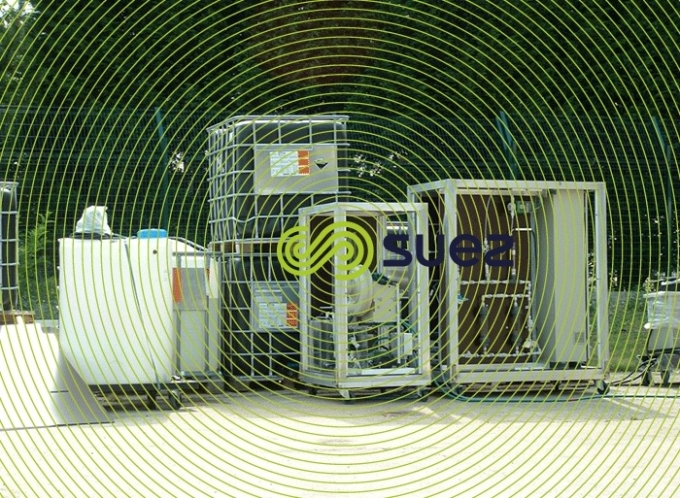 Once the storage unit installed on site, chemical products are directly delivered and offloaded. This operation is supervised by a trained and qualified operator. compiling numerous data records facilitating the correspondence with the evolution of other parameters or certain events. This technology is based on the integration of a fluorescent marker in the formulations used. 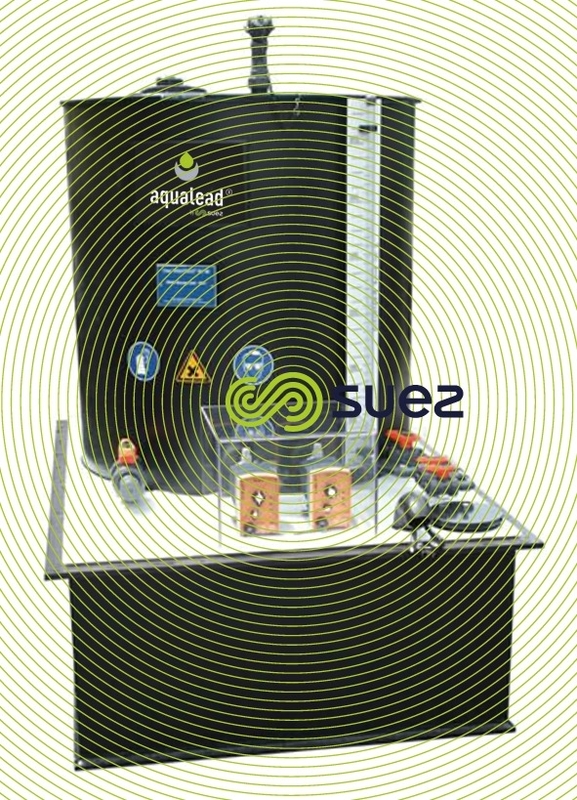 It consists of continuous measurement of the concentration of the marker in water by an analyser which ensures a stable dosage and adjustments in real-time. conditioning to be permanently adapted to the hazards of cooling towers operation. Continuous analysis significantly reduces the number of “manual” analyses to be performed during the year, as well as reagent discharge. Over time, the stabilisation of formulation injections leads to a better protection of cooling towers and optimises the sustainability of surface conditions. Numerous other analysers exist which allow to manage equipment, including dosage and blowdowns. These analysers are chosen at the time of the evaluation according to the KPI selected.